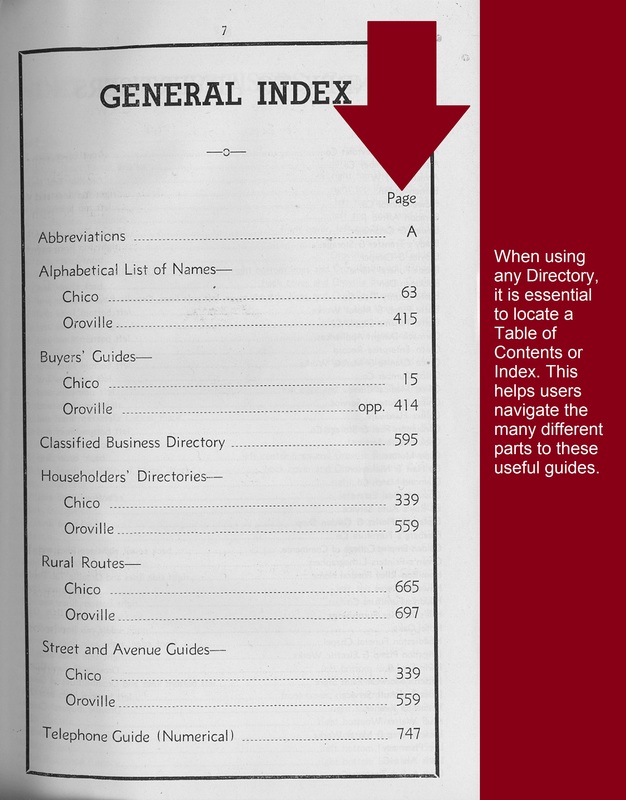 What information can be found in a City Directory? Some directories contain a Householder’s guide, which is organized by address and identifies who was residing at that location. Street names can change over time, and sometimes so do house numbers. The Householder’s Directory identifies cross-streets, to provide a cross-reference to modern maps. 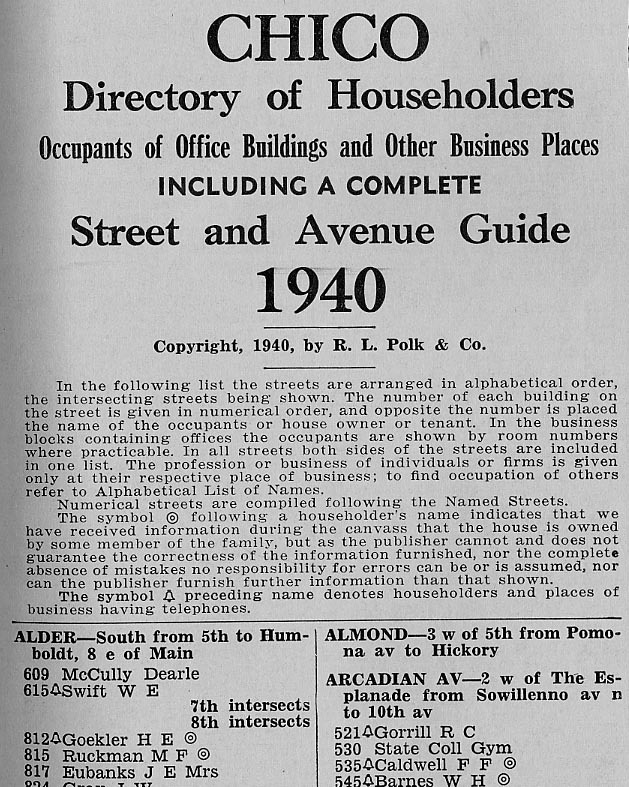 The Directory of Householders was published in City Directories for the years 1916- 1994. The transcriptions created in CSU Chico Digital Collections are not 100% accurate. 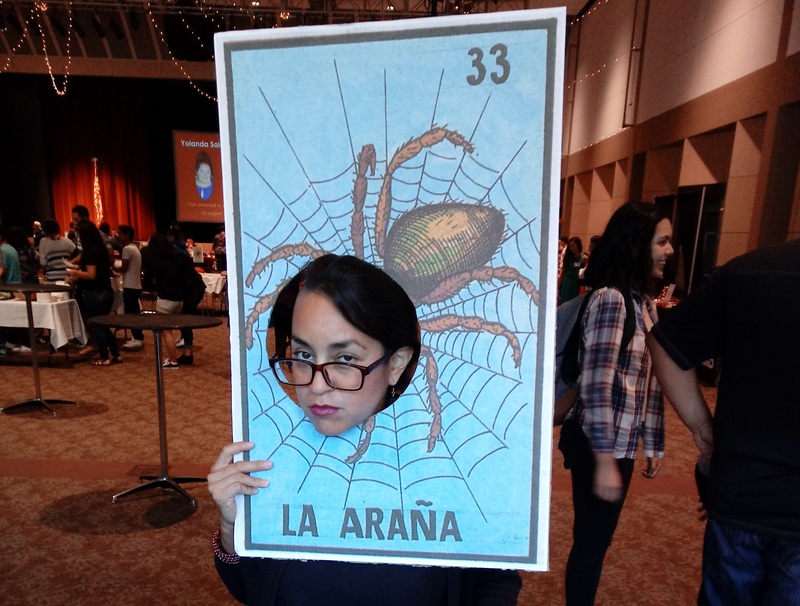 The Special Collections Department is always striving to be more successful and more perfect in providing researchers with access to high quality digital content. However, we know that having a transcription that is mostly accurate yet, 100% available is better than no access at all. There are a few factors which influence the accuracy of OCR transcripts, including the quality of the original image scan, varying font types, and the direction of text printing. Please, bear with us! If you find a particular page from a Directory you'd like to save, or wish to refer to later, the Reference URL or Share button on the top left hand side of the page. City directories contain alphabetical lists of business firms, corporations and private citizens, as well as numerical street guides, and often miscellaneous directories of city, county, state and United States officers, churches, clubs, colleges and schools, labor organizations, secret and benevolent societies, etc. They are invaluable tools for local and family historians. The first local directories were published in 1881. City and county directory of Yuba, Sutter, Colusa, Butte and Tehama Counties ... by L.M. McKenney & Co. Both the Meriam Library Special Collections Department and the Chico Branch of the Butte County Library own partial sets of the directories. In 2004, the respective Friends of the Library organizations donated funds to scan and digitize the directories to preserve the oldest years in an attempt to provide a more complete set in both physical locations. 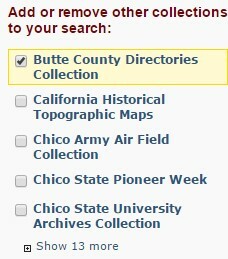 As a result of those efforts, the Butte County Directories are now full text searchable at the CSU Chico Digital Collections website. CSU Chico's databse of digital materials, including photographs, manuscripts, university archives and map collections. Search the holdings of all Butte County branches. If you wish to use the Butte County Directories, in their physical format, please contact the Meriam Library Special Collections Department at specialcollections@csuchico.edu. Each County or City Directory is different and there are variations between publishers. The publishing company with the widest and most consistent distribution is R.L. Polk and Company, which began consistently distributing in Butte County in 1911. Users may toggle between the two tabs, or choose to View Image & Text, but will only be able to find the "Previous Instance" and "Next Instance" Find arrows in the Text tab view. Users can click on the down or "Next Instance" arrow to jump directly to each page where the search term was found. Users may toggle between the Image and Text tabs to see where the word appears on the page, but cannot navigate to the next instance from the Image view tab, ONLY from the Text tab.